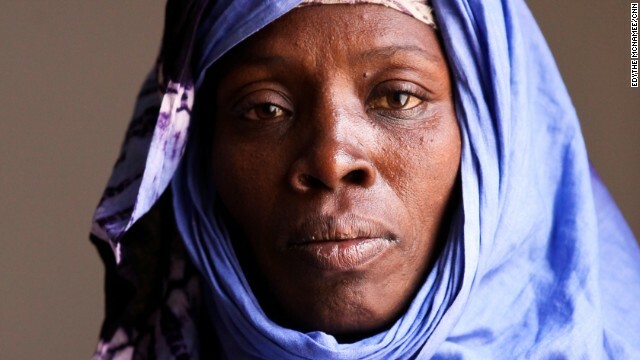 (CNN) - Slavery in Mauritania has persisted for centuries - and it wasn't until 2007 that the West African country actually made the act of owning another human being and forcing him or her to work without pay a crime. To date, only one person has been convicted on slavery charges in Mauritania - and some activists say little is being done to pressure the government to end slavery. In part, they say, that's because the United States has interests in working with the Mauritanian government to fight a branch of al Qaeda in the region. It might upset the balance of that agreement if the U.S. also urged Mauritania to tackle slavery. 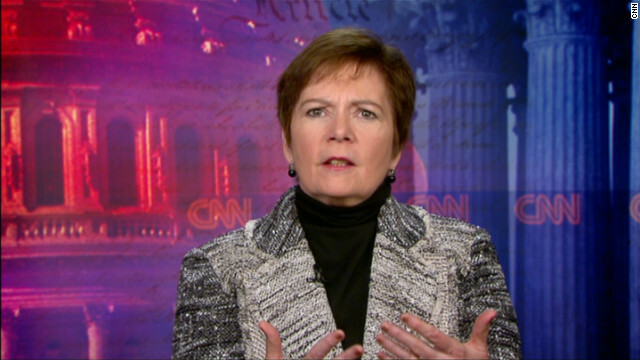 Two Mauritanian government ministers denied slavery exists in CNN interviews. Slavery unfortunately still goes on in Mauritania. Despite a gradual change of mentality and a public willingness by the government to tackle the problem, this practice, which was made officially illegal [several times], still exists and is relatively widespread in the country. We make the fight against slavery a top priority in our dialogue with the Mauritanian authorities. We also support civil society organizations which are key in the fight against slavery. The EU is providing financial support to several projects to support human rights organizations in their fight against slavery. We also support legal and administrative measures taken to combat this scourge. Such practices are clearly out of place in any democratic society and must be immediately abolished not only in law but in practice. Complementary socio-economic measures are also part of the solution. (CNN) - A quick glance at slavery stats makes the situation in Mauritania seem fairly hopeless: The West African nation was last in the world to abolish slavery; an estimated 10% to 20% of people live in some form of slavery today; and, while the government made slavery a crime in 2007, only one slave owner has been successfully prosecuted. 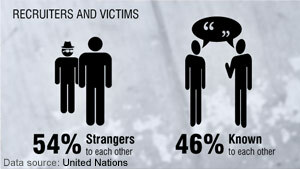 But ask Gulnara Shahinian, the United Nations' special rapporteur on contemporary forms of slavery, about her recent visits to the country and you see a picture that's hidden beneath those shocking statistics. Shahinian says Mauritania could be nearing a turning point. It's clear what needs to be done to eradicate slavery in Mauritania, and government leaders finally are considering making some of the right decisions, she said. (CNN) - On Sunday, CNN Digital released a special report called "Slavery's Last Stronghold." It focuses on current-day slavery in Mauritania, a West African country where an estimated 10% to 20% of people are enslaved. 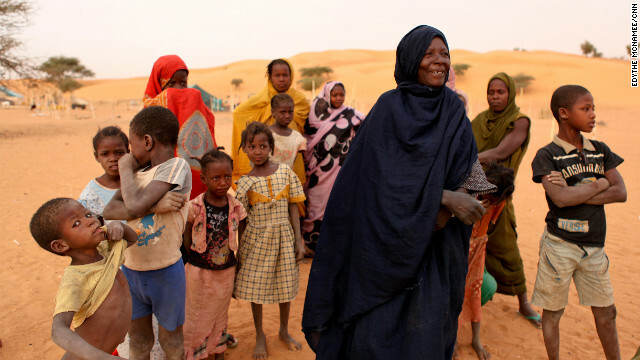 In 1981, Mauritania became the last country in the world to abolish slavery. It didn't make owning a person a crime until 2007. 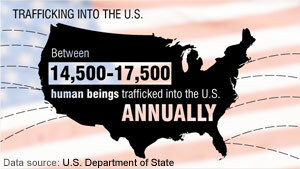 Work on this story started 11 months ago, after we stumbled upon a few of those statistics. As part of The CNN Freedom Project, a multi-year effort to report on modern slavery, we began talking with anti-slavery organizations and government workers who deal with Mauritania in hopes that we could get a sense of what life is like in this place where slavery is so shockingly common. Eventually we found SOS Slaves, an abolitionist group in Mauritania that was founded by a former slave owner and a man whose family was enslaved. Think about that for a second: A slave and a slave owner came together to start an organization that is now trying to liberate people in a place where slavery is arguably more intractable and more common than anywhere else on Earth. It's such a powerful symbol of hope, cooperation and reconciliation. Of putting aside differences for the greater good. [Original post] In "Slavery's Last Stronghold," CNN explores a woman's journey from slavery to freedom. Moulkheir Mint Yarba had been one of the estimated 10 to 20 percent of the 3.4 million people in slavery in the African country of Mauritania. 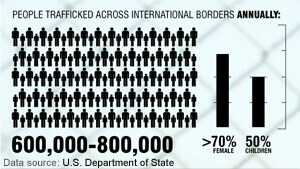 That's 340,000 to 680,000 people in modern-day slavery inside this one country. If that's not unbelievable enough, consider that Mauritania was the last country in the world to abolish slavery - in 1981, nearly 120 years after Abraham Lincoln issued the Emancipation Proclamation in the United States. It wasn’t until 2007 that Mauritania passed a law that criminalized the act of owning another person. And what's just as shocking as the statistics is the fact that Mauritania's slaves are not necessarily restrained physically, but instead are held in mental shackles. Many don't know what the concept of freedom is. What do you think? Were you aware the problem still exists in the world today? 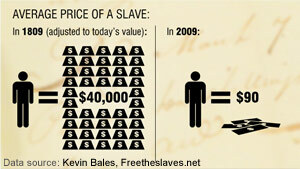 Why do you think slavery continues in the 21st century? How would you try to explain the concept of freedom to someone who never knew it? Join the conversation below.